A Gurkha recruit from ITC Catterick moving across woodland plantation. I bet you didn’t know that 'forester' was a real job in the Ministry of Defence, but if you think about it, it makes a lot of sense - the MOD’s vast estate has over 18,000ha of woodland. I'm the MOD's Senior Forester. 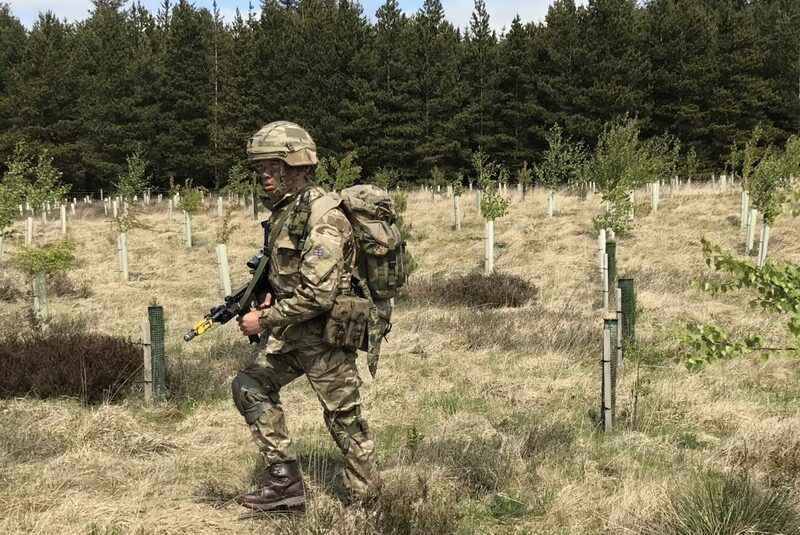 Most of our training areas have large blocks of forestry planted specifically for military training, but we also have large areas of urban and amenity woodland around our barracks, Service Family Accommodation homes and garrison towns. The cultural value of this resource is often linked to the historical use of the sites, and many magnificent veteran and specimen trees contribute to the overall landscape of sites such as RAF College Cranwell and RMA Sandhurst. Although impossible to accurately count, we have at least 60 million trees in the UK alone. I’m based at Catterick, although I do spend a great deal of time on the road, travelling to other parts of the MOD estate, working with the three regional foresters who make up the rest of the MOD Forestry Department. Catterick is where my MOD career started, initially as a forestry student then returning a few years later as the Catterick Training area forester. I originally studied painting and then photography, but soon realised this didn’t suit me so I sold my camera gear and bought chainsaws – as you do! I then spent a few years in Scotland and elsewhere working as a forestry contractor, before heading to forestry college. I was lucky enough to get a placement working in MOD forestry as part of that course, so when an MOD job came up a couple of years after I graduated, I jumped at it. Thirty years later, I still love forestry and trees! It’s not unusual for me to be out and about in my working day and see a tree I planted a quarter of a century ago. One of my goals is to get as many trees in the ground as I can before I leave this mortal coil. I even have a personal nursery of hundreds of trees I’ve found growing in places where they wouldn’t have survived. Once big enough, these are then planted in areas where they can grow freely, and contribute to my woodland legacy. Military personnel must be prepared to fight in all circumstances: day or night, urban or rural, out in the open or under cover; and training in woodlands is part of that. 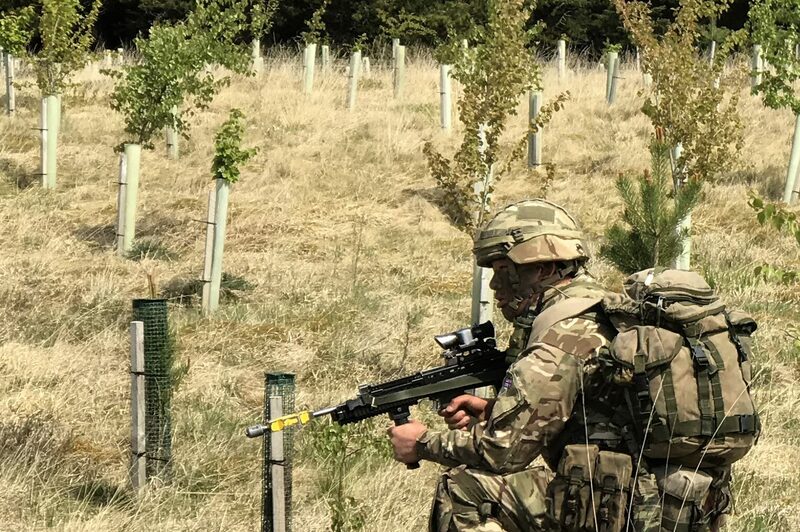 Facilitating military training is therefore our primary role as MOD foresters. Catterick Training Area alone sees about 1,000 troops a day, just from the Infantry Training Centre, without even including other Catterick-based units. I’ve spent time with training troops to see how they operate and use the woodlands. It can range from cover for artillery to learning how to defend a wood from attack and even learning bushcraft skills. For safety reasons, we like to clear up a lot of the windblown wood from the ground, but troops quite like it as it can replicate the appearance of a wood after being hit by artillery. Our forest cover is around 56% conifer and 44% broadleaf. This reflects the planting of large areas of conifer woodland during the Cold War to replicate an eastern European landscape. Most of the conifer woodland is mature or over mature, and due to species and the management systems chosen at the time of planting, is now in decline. Large areas of conifer woodland have started to blow down, which has resulted in a significant harvesting and restock program. Although providing a military training resource is our primary aim, sustainable woodland management often generates income though timber sales. We currently harvest around 40,000 tonnes of timber each year, with the revenue generated being used for replanting and regenerating the aging woodland resource. We work with two service delivery contractors to manage the woodland resource – Amey manages the trees within RAF bases, barracks, garrisons and Service Family Accommodation while Landmarc manage the woodlands on the army training estates. We work well together, and share our enthusiasm for trees, which always helps. Aside from military training, there are other factors we must consider. Safety is obviously paramount, and we must ensure our woodlands are safe places to train. Due to the isolated nature of much of our estate, we have more than our fair share of rich and varied natural habitats, with large areas being designated as Sites of Special Scientific Interest or in Areas of Outstanding Natural Beauty. For this reason, it’s very important for us to have good relationships with colleagues from Natural England and the Forestry Commission as well as charitable groups such as the Woodlands Trust. We’re putting a great deal of thought and effort into climate change resilience to ensure what we plant now will still be around in hundreds of years. Also, the increasing number of pests and diseases affecting trees in the UK is having a significant impact on the MOD woodland resource. I never thought that during my forestry career I’d effectively see the demise of ash due to ash dieback and larch due to Phytophthora ramorum. To that end, we’ve set up a Biosecurity Working Group with the Forestry Commission and Animal and Plant Health Agency so we can utilise some of the country’s best plant and animal health experts. There is always the risk that diseases can be carried on military vehicles, and as our troops can be travelling around the country and on to different training areas, we must ensure all the necessary bio security measures are followed. 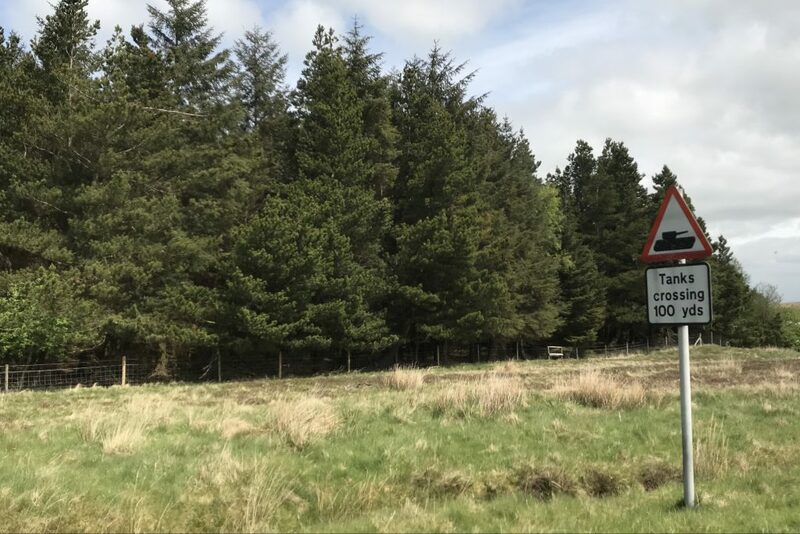 Following an outbreak of Phytophthora ramorum, a highly infectious disease that kills larch, at Sennybridge Training Area, we worked closely with the units who were great at making sure all their kit was properly washed down to prevent spreading disease. We’re currently working on long term woodland plans to make sure the MOD woodlands are still working for the military long after I’ve retired. You really need to think ahead in this business!